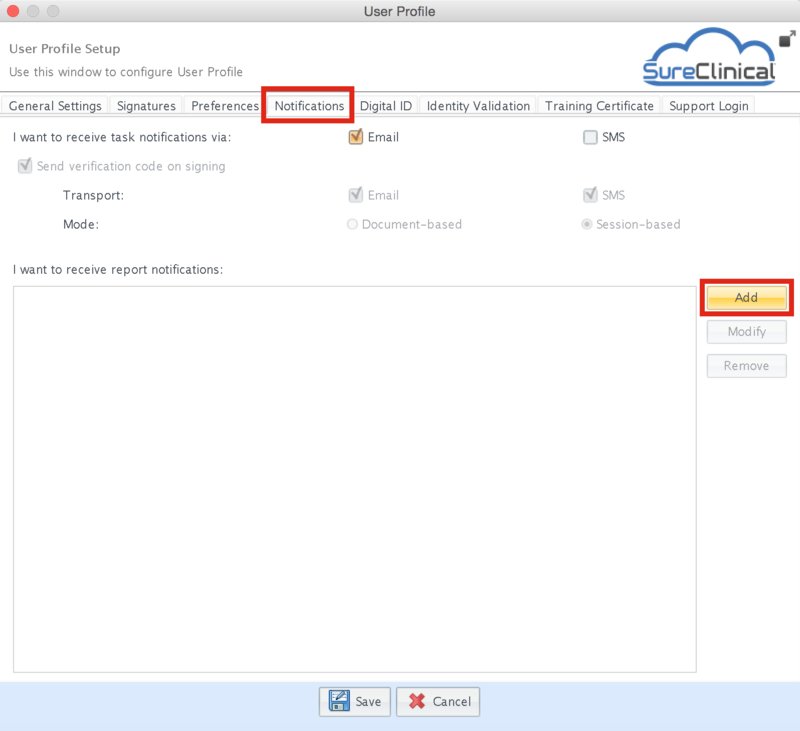 Navigate to the User Profile Window by clicking the S-button menu > Settings > User Profile. 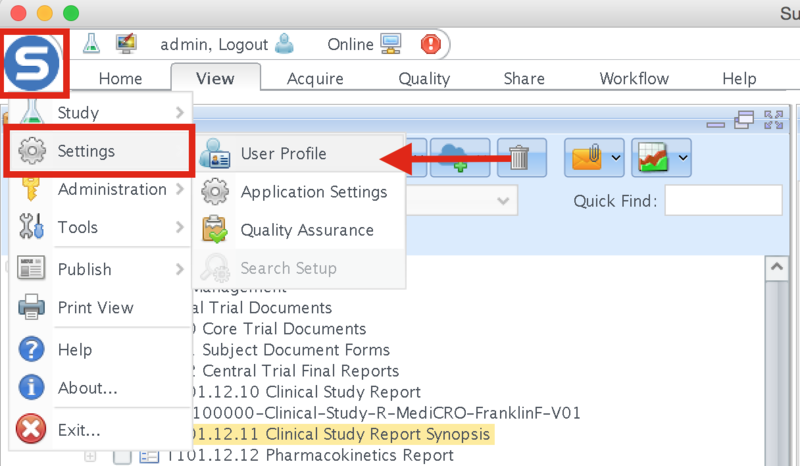 2 When the User Profile window pops up, click the Notifications tab and click the Add button. 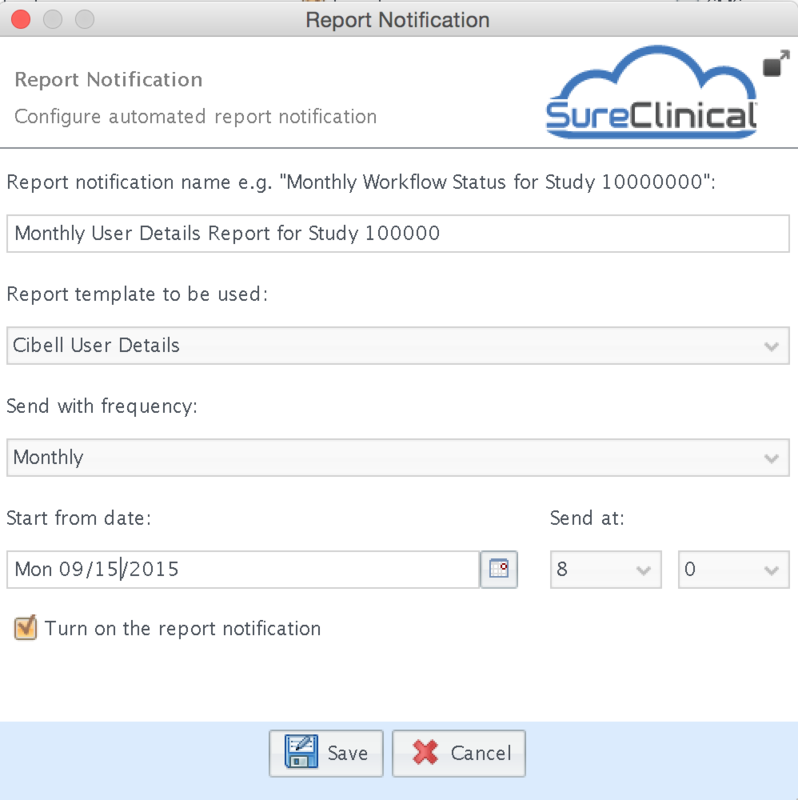 3 Name the notification, select a report template, email frequency, and enter the beginning date and time. 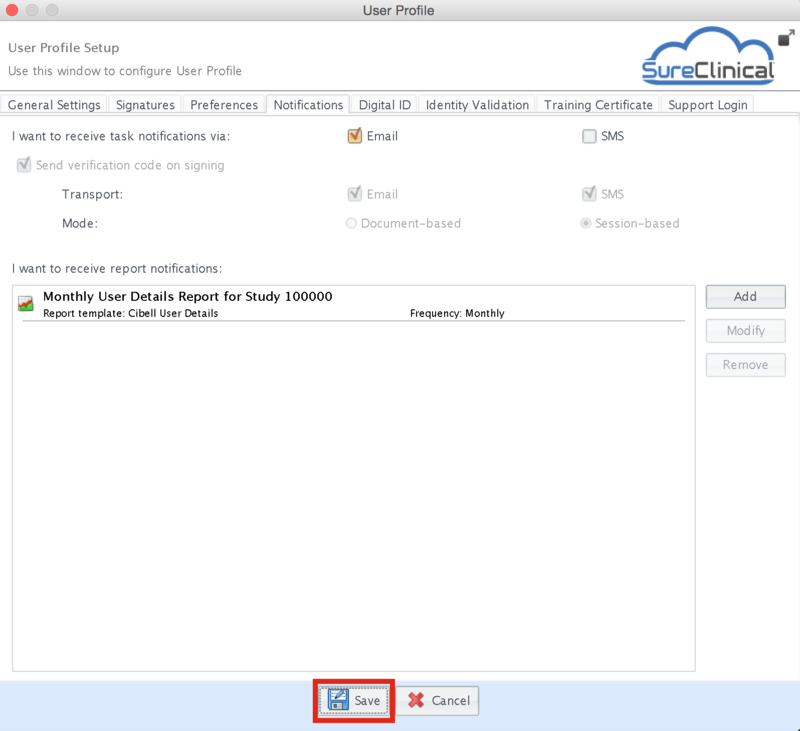 4 Save the Report Notification then click Save on the User Profile Window.